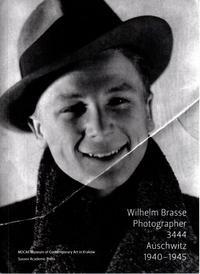 Wilhelm Brasse was born in 1917 in Żywiec of an Austrian father and a Polish mother. Before the war he worked in a photographic studio in Katowice. For refusal to join the Wehrmacht, he was sent to Auschwitz, where from 1941 to 1945 he worked in the Recognition Service as a photographer. He took tens of thousands of photographs of prisoners, hundreds of portraits of SS-men and documented some so-called medical experiments. After the war ended, he returned to Żywiec where he has been living to this day. Publication is accompanied by a 43-minute film. The publication is produced by MOCAK in collaboration with Sussex Academic Press.